Bzzzzzzzz. Bees first. I did these a while back. They were some of my first attempts at turning cake pops into little creatures. Since doing them, I’ve seen other variations shared by readers that are pretty darn cute, too. Some with smaller wings using jumbo white heart sprinkles that I think are just darling. I’ll try to post some of them in the Pop Stars section in the future. But until then, I hope these spark some ideas for you. 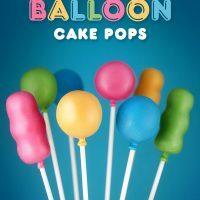 Follow the instructions for making basic cake pops, shaping the balls into ovals and use the following to decorate. You can prepare the wings ahead of time. Use a round cutter to cut away a small section from each white candy melt. 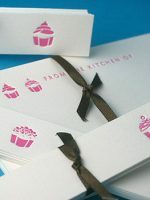 You want the curve to be similar in shape to the side of the cake pop so you can attach it without much of a gap. Dip the pops in yellow coating. When dry, use a black candy writer to pipe on stripes and then dip the wings, cut side down into a tiny bit of leftover yellow coating. Then carefully attached it to the cake pop, holding the wings in place until the coating sets. Place in a styrofoam block to dry. This step would have been easier if I had thought about those jumbo heart sprinkles back then instead of the melts. Plus, it makes the bees look a little cuddlier… if bees can look cuddly. When the pops are dry, draw on cute little faces with a black edible ink pen. And a little patience dipping. These are achieved by applying the coating in several steps and letting dry in between. 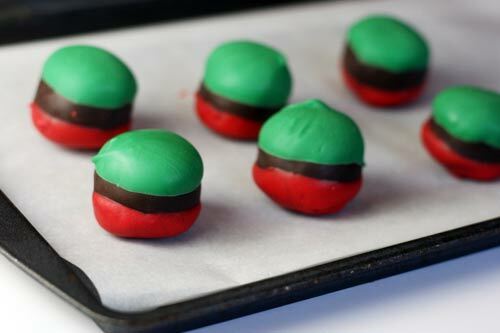 Follow the basic cake ball instructions and after rolling them into balls, flatten them slightly so they aren’t too round. Completely cover in dark chocolate first. You can break off any pooling when they are dry or use a toothpick to draw a separating line around the base of the ball while the coating is still wet and then it will break much easier. 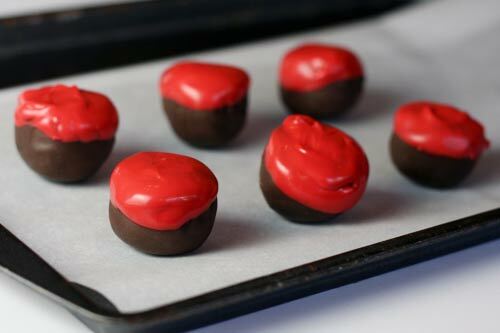 When dry, dip about 1/3 of the ball in red candy coating, place red side up and let dry. Then dip the opposite side about 1/3 of the way in green candy coating. Place green side up and let dry. You’ll be left with the dark chocolate remaining visible in the middle. You can use a toothpick to dip in any remaining green coating and apply ectra right around the edges so it will look a little more random. More lettuce-like. 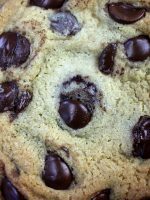 When the green is dry, dip the bottoms in peanut butter coating. Make sure you leave some of the red visible. This time you can place them back to dry bottom side down and the coating will dry with more of a flat surface for the bottom of the bun. 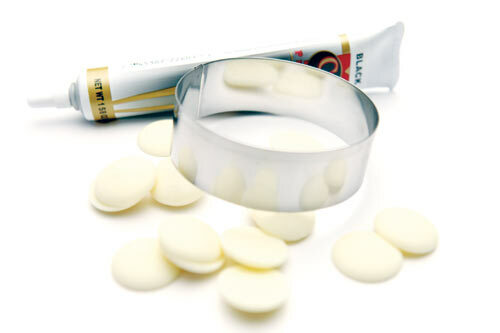 If the coating is too hot, let it set a few minutes before dipping so it doesn’t pool too much. Finally dip the tops allowing some of the lettuce to show and sprinkle with non-pareils. Lots of dipping and drying, but pretty darn cute. 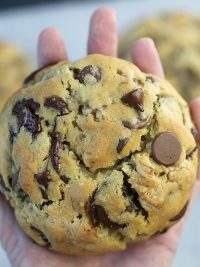 Let dry completely and you can have dinner and dessert all in one bite. FYI … originally these were going to be in the Cake Pop book, but now… they’re not. Bzzzzzzzzz kill. I know. It was hard not to include them… really hard. But ultimately it came down to page count. I needed to stick to a certain number of pages and there just wasn’t room for a few of the projects. I decided to take out the burgers because you are basically putting three layers of coating on the cake balls and I thought that might be too thick for most people’s taste. And the bees… I don’t really know. I guess I thought they weren’t cuddly enough. Now, I’m having second thoughts. I do that a lot. Too bad, though… it’s too late. Anyway, hope you like them. 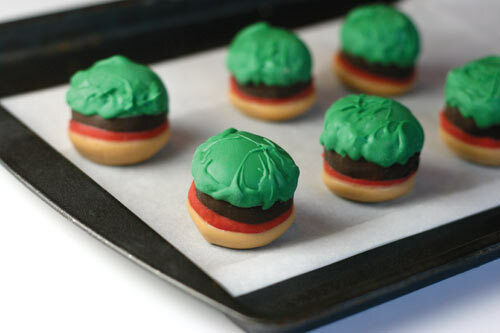 And if cake pops aren’t your thing, take a look at these Father’s Day Hamburger cupcakes. You never cease to amaze me. I wish I had 1/10 of the creativeness that you have. 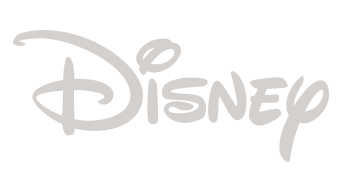 Thank you for your constant inspirations! Those are so cute! I love the bees and the hamburgers look wonderful, too! Those bees are TOO cute-I’m gonna have to try them!!! The hamburgers are so darn cute!!! i LOVE both the burgers & the bees!!! adorable!!! i am also LOVING how easy it looks to make the burgers. i just may have to try these for an upcoming party. thank you, bakerella!!! You are so talented!!! Just amazing! These are so cute! I love the burger idea, really anything mini has my heart! Wow, you never cease to amaze me with your awesome cake pops. I’m still trying to master the chicks from two Easters ago! I am SO glad I already ordered a copy of your book!! !…..because if the bees and burgers are the REJECTS, then the book is gonna be AbFAB ( actually, I already knew it would be terrific). 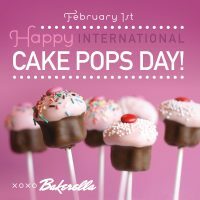 You are the original pop star, Bakerella! 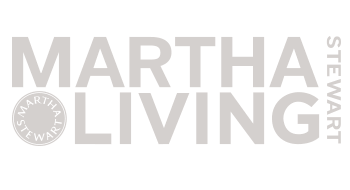 I am taken by the fact that you can actually *make* things look like your idea… that’s the tricky part for me! these werent included? wow, i wonder what is then. lol. the burgers are just flat adorable. i think they are amazing. Those bees are SO cute! And I simply wouldn’t have the patience to make the hamburgers (without a lot of Diet Coke) but I think they’re genius! You have a lot of patience! These look great! Both are so cute. Those little bees put the biggest smile on my face. 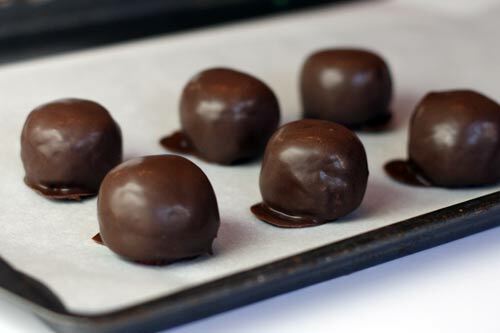 I tried to make just plain old cake balls last week for my stepdaughter”s birthday. It was such a disaster. 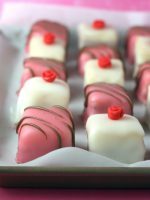 The red velvet cake balls made the white candy melts blotchy with red. They were ugly but tasted great! you are sooooo talented, keep it up. Eeeeeee! I’m squealing with delight, these bees are so cute! The little kid in me can just imagine running around with these bumble bees in the air and making buzzing noises like they’re flying. Hehe. If these didn’t make it into the book, and I can’t wait to see what did! Bakerella, you’re so creative! oh bakerella I am not a fan of Bee’s at all BUT this could just sway my thinking lol….and the hamburger it is funny how it didnt look like a burger until the end when you added the “bun” it (to use a pun) was icing on the cake lol……ok back to eating cake pops instead of making bad jokes about them ! … I think those burgers are possibly one of the CUTEST things I’ve ever seen. maybe after a few gin and tonics i too could have the patience needed to create the awesome burger bites..they are fantastic! I love them all !!!! Bees are great but burgers… Wow! So original. I love the burgers!!! They’re awesome. You are so talented and genius! oooh, i love the sweeeeet beeees. 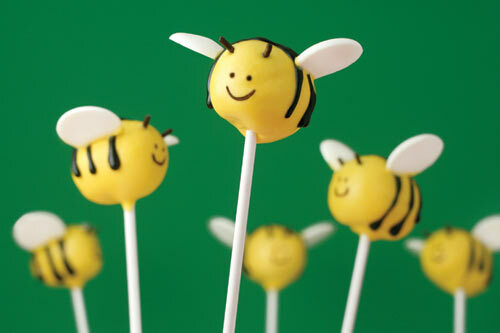 long time no cakepops in my kitchen … these bees will chnge that!!! :) love your work! 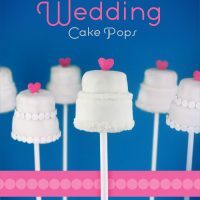 I’m still in love with your cake pops, this is a great idea ! And I’ll buy your book ! Have a great week Bakerella! The bees are soooo darn adorable! The burgers are cute as well, but I’ve been spoiled by seeing hamburger macarons on Eat Me Daily ;) Ever considered making hamburger macaron pops? Haha that would be awesome! Thrse are just waaaay too cute!!! The burgers are just too adorable! thanks for sharing these two cute cake pops too. These are just too cute! The bees would be sweet buzzing around my 4th of July Party :) Thank for your continued creativeness! Amazing! 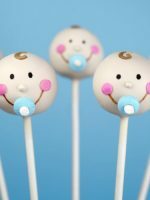 I am in awe everytime I see your latest cake pop creation, they just get cuter everytime! LOVE THEM!!! Always looking for fun ideas for hamburgers!! My kids are crazy about them! Where DO you get these ideas??? Soooo cute, I love it! My Mom and I go to the Longaberger business conference every year in Columbus, Ohio and it’s called “The Bee”… I just might have to make up some of these for CEO Tami Longaberger and ‘The Bee Boyz’. I can’t wait to see your book. It’s going to be awesome… I can feel it in my hips. so cute.you make it look so easy, i have to try these! I am amazed… first time here and feel like a kid again that wants to have a piece of everything… excellent work!! 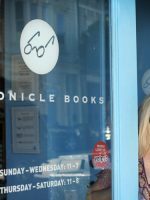 Your bees can be in your 2nd book!! Don’t tell me you’re not thinking about that!! Love ’em. So darn cute. bzzzzzzzzzz! 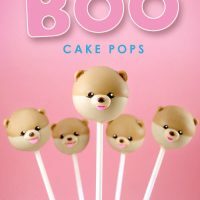 These are adorable, and I have made many cake pops/bites in the past. However, for some reason I always made them in the fall or winter, but the bees would be perfect for a family picnic I am attending this weekend. How do you think these would hold up outside for a few hours? should I make sure they stay refrigerated before serving? 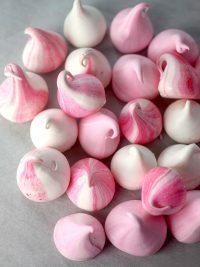 I’d hate for them to be melted and messy before people even get to enjoy them! These are both AWESOME! And the hamburgers. 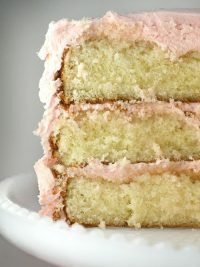 Oh my… I definitely have a sweet tooth and the three layers don’t scare me away at all. Hey, even if they aren’t in the book we can look at them on here! The hamburger ones are just too cute. I about died a bit when I saw them. In a good way. I can’t wait to make these for our next cookout! These are adorable. Have you ever made ladybugs? Love the bees. They are so cute. What a shame I don’t have the creative gene. I guess I’ll just watch. dang it woman!! 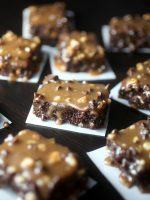 you make everything seem so easy and wonderful, and NOW i am going to have to make a batch of these for my family reunion in a few weeks. I LOVE the little burgers! I think that is my favorite design you have made so far. You are such a genius! Nobel Prize for you!! these are SO CUTE ! These are too cute! I would say that they are BEE-utiful! :) I love it because my niece is having a Winnie the Pooh 1st birthday and these along with the Winnie the Pooh cake pops are perfect! Thank you! SO great for summertime BBQ’s…Cant wait for the book! oh my gosh. the burgers look SOOOOOOOO cute! 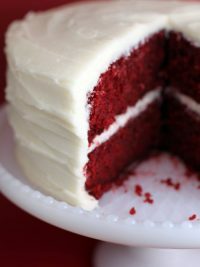 SO many recipes of yours I want to try but there is so little time in the day to actually make them. I can’t wait until your book comes out to see what else you come up with! These are absolutely perfect…friends of mine farm honey bees – I know exactly what I will bring as a favor to their “honey harvest” party this year!!! How fitting :) Thanks for the great post as always. 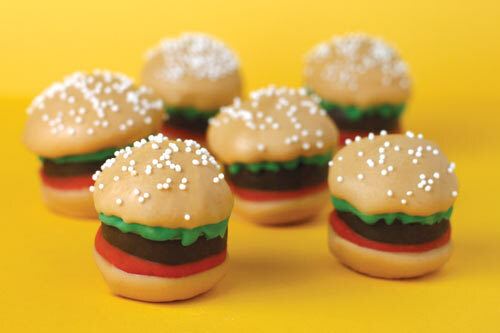 … and of course, the hamburgers, cute cute! May require multiple dippings, but other than that looks pretty straight forward w/o too much of the tedious work. I just wanted to say that I just voted for you to be on the Betty Crocker cover!!! I hope they choose that one!!! The bees are super cuddly even with the bigger candy melts! Sorry if this has already been mentioned, but how about leaving the PB melt as is, and using 2 as buns? Honestly… how do you think up these ideas?? TOO cute! Great work! I just had to say that I made the bannanaberry muffins and I LOVED them! Thank you for that recipe. It is a KEEPER! Oh my! Those are fantastic! I love the burgers and the bees are super cute! I can’t wait until your book comes out!!! Thanks for sharing! I’m horrible at dipping. How do you do it so well? Think of me as Lucille Ball in that episode of I Love Lucy where she works in a candy factory. GREAT pops today! Super cute. 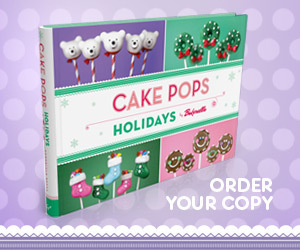 I just got a chance to vote on the cover of the Betty Crocker Fall Baking Magazine and I chose the CAKE POP COVER!! Congrats for being in the mag!  You look great on the cover shot! Bakerella, I’m dying over here! These are amazing. Can’t wait to try my hand at the burger cake balls. I love the bees… they would be a great present for my dad who is a beekeeper… maybe I’ll give them a whirl if I dare! i’m dying to know how you keep from getting fingerprints on the dipped cakepops? 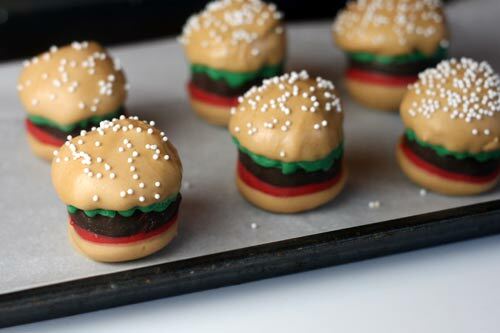 can you make “pop” versions of these mini burgers, or would that not work with the sticks since you have to dip both sides twice? 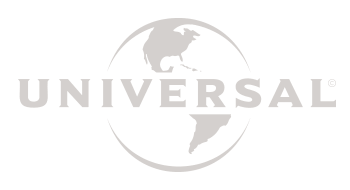 I recently “discovered” your existence and have been totally “hooked’ since!! Your work is truly amazing! Although I’m not much of a baker myself, I have an eye for spectacular things. So glad I found you.  Thanks for sharing what you do! I’d rather eat those burgers than the real thing! Just when I think your cake pops can’t get any cuter, you out do yourself! I almost can’t stand it!! Your creativity is amazing, i love the burgers they are so cute, you can pick them up and just eat them up like a real burger too hehe! So great, the bees are super adorable as well! wow those burger bites are AMAZING! Can’t wait for your book to come out! Love your creativity! 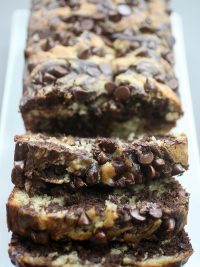 oh my god, i think i might actually be able to make these!!! oh how i wish i was patient enough to make 50 of these!! LOVE! I am just thrilled you actually called sprinkles “chocolate jimmies”!! We never hear that over here in California, people think I’m crazy. Have you thought of maybe using Necco Wafers for the wings? It wouldn’t be as chocolatey-yummy, but would prove an interesting blend of textures. 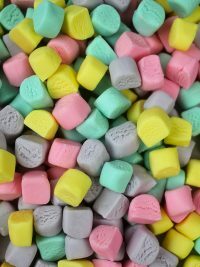 There are lots of Necco wafer colors (okay, so…like FIVE…but whatever ;)) and they can be written on with edible pens. Idk.. just an idea for anyone else..
Those bees are gorgeous! 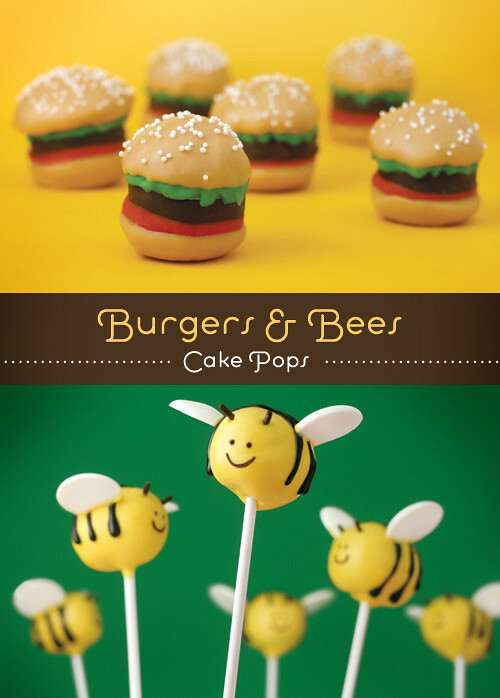 Would you believe, just yesterday I was trying to plan bee cupcake pops (my daughter is bee crazy)…now i have a proper guide! Thanks Bakerella!! !